That’s the mindset of many-a-marketer who find it difficult to come up with the best possible copy for blog posts, social media messages, and the like — particularly on cluttered platforms like Facebook and Twitter. Luckily, on Socially Stacked, the staff produced the helpful infographic below which details a few dozen commonly used buzzwords and popular phrases echoed through the social world that tend to boost the likelihood of sharing for blog and social content. Check out the interesting list of terms, and consider if they could be useful in your inbound efforts … and stuff. How do you go about determining what buzzwords to include (if any) in your social media marketing? 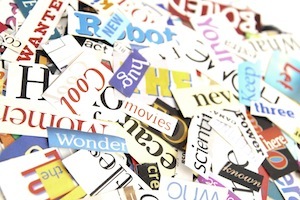 Any of the above terms seem like ones you think could benefit your marketing efforts?